Enjoy the best inspirational, motivational, positive, funny and famous quotes by Alonso de Aragón. Use words and picture quotations to push forward and inspire you keep going in life! 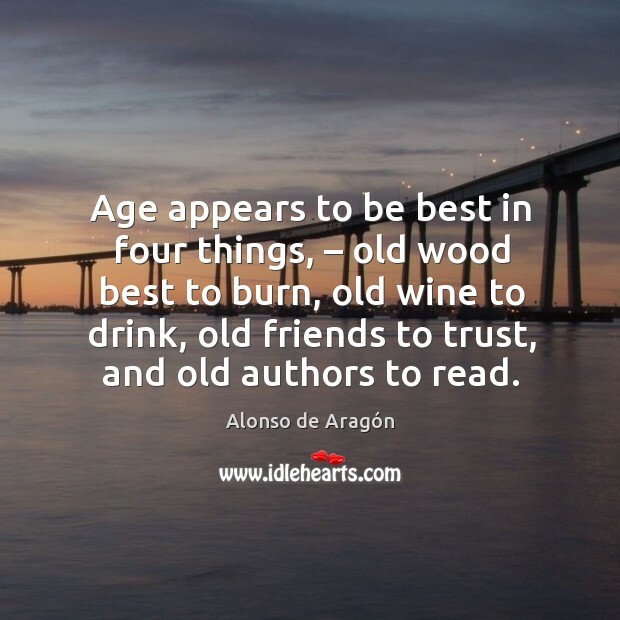 Age appears to be best in four things, – old wood best to burn, old wine to drink, old friends to trust, and old authors to read.